Invest in your marriage, the easy and fun way. Don’t wait until there is a crisis! Make time for your spouse and have some fun in the process. You wouldn’t invest in landscaping without watering it, our relationships need the same upkeep. You probably spent more for your wedding cake…. Get more done in one day than in two months of weekly counseling. Focused, guided learning over a 6-8 hour time frame will have more impact than distracted learning at home. Your spouse will feel loved and valued. Your kids see that your relationship is important and deserves attention, teaching them to do the same in the future. and a bonus: Free donuts! Sign up today for my June 9th workshop, or put August or November on your calendar. I'd love to have you join us! Encouraging a teenager to attend counseling can be difficult. Here are the top ten ways I’ve found to engage adolescents with the therapy process. The goal is to create a life-long ability to utilize counseling as a healthy resource. 1 Ask for your teen's help to choose their counselor. Look at online directories, check out photos of different therapists and pictures of their offices. Read their personal statements about how they work. Let your teen tell you who they might be comfortable with and who just looks weird to them. I’m sure you’ve considered not telling them about the appointment until it’s too late for them to back out. But please resist this idea. They will feel tricked and won’t open up or trust the counselor. 4 Take some accountability in the change process. 5 Don’t use counseling as a threat or a punishment. A counselor is not a probation officer/judge/principal. The therapist works for your teen, not the other way around. This sets counseling up to fail. 6 Use the first session as an “interview”. Do they like the counselor? Give them a feeling of control in the decision and listen or make changes if they don’t feel comfortable. Counselors are all very different and personality styles have to click. 7 What’s in it for them? Most teens think that being dragged to therapy is just for their parents benefit. When you are discussing problematic behavior ask questions to lead them to understand how things have been a problem for them, not just you. For example: “I’ve been hearing from your teachers that you are zoning out and not turning in classwork. It must be frustrating for you to have your teachers sending us complaints. I bet you’d also like us not bugging you/grounding you about school stuff.” From your teen’s perspective, they probably want their parents and teachers off their backs. Counseling can help them with that. Do they want more freedom or less drama? Would it be nice for them to feel better? Find a reason for them to be motivated to come to session. 8 Offer to let them out of class for the appointment. A counselor can write a school excuse note. Bribery never hurts. 9 Be open to change in yourself and try new things. If your teen sees you making an effort, they will buy into the process. Recognize changes that your child is making in therapy and encourage their hard work. If they slip into old behavior, encourage and remind them of positive changes they have made. It’s normal to have little setbacks. 10 What’s said in therapy stays in therapy. Never get mad at your child for anything they discuss in session. (this usually happens out of therapist earshot). That will shut them down and they will be done. Also, keep counseling private. Don’t tell outsiders or other relatives that they are going to therapy, let your child bring it up. Most teens are very wary of the social stigma of going to counseling. Take this time you’ve set aside with them for some extra attention. Go out for ice cream or something special after session. No matter how resistant your teen may seem, I have found that nearly 99.9% of them are really yearning for your time and attention. Good luck! Please let me know in the comments what has worked for you to engage your kids in this process, I'd love to hear more ideas! Ever heard any weird stories about marriage counseling? I sure have. It’s no wonder people are worried about coming in. Marriage counseling is a very misunderstood process due to a number of myths. You may have never been in a therapist’s office, but surely have some expectations based on movies or stories from friends and family. If the only thing you know about couples counseling is from a Vince Vaughn movie-please read on. Here is some help dispel some of these myths. Research consistently finds that therapy works. Counselors are ethically trained to only utilize theraprutic approaches where effectiveness is research based. In the approach of Emotionally Focused Couples Therapy, for example, 90% of couples report improvements in their relationship. In addition, results from an article from the Journal of Martial and Family Therapy report that clients generally reported satisfaction rates between 91% and 98%. For effectiveness of the Gottman Method, another theory I utilize, see this link. Science is increasingly telling us what works and doesn’t work in relationships. I am careful to work primarily from this standpoint. You must be really broken to need marriage counseling. Others don’t need it. All relationships need tending. Your marriage is your biggest investment. You wouldn’t purchase a fancy sports car or beautiful landscaping and then forget it. They need servicing, fertilizing, attention. Even the best relationships struggle time to time. It’s the healthiest couples who are willing to try marriage counseling. Relationship counseling is the most effective if you come in before a crisis. The counselor will pick sides (and probably side with my wife since she’s a woman). I am trained to be neutral. There is no side to pick and I will teach you that striving to “win” will not improve your relationship. If there is a winner and a loser the relationship breaks down. My "side" is with the relationship and making it work for both of you. The counselor will boss us around. My job isn’t to be bossy or dole out advice. This is one of the main differences between talking to a friend/family member or talking to a therapist. Many people in your life will tell you what to do. A counselor, on the other hand, is focused on listening, understanding and encouraging growth by utilizing proven theories and techniques. I strive to create the atmosphere for enhanced connection. I will work to keep us on track, focused and productive. The counselor will make us do stupid and embarrassing activities. Showing up in a counselor's office can feel very strange at first. A good counselor is going to work with your comfort zone. We don’t want to scare you off! If you are uncomfortable, speak up. We work for you, not the other way around. The silly things you see in a TV therapy session are not representative of what we do. The counselor may make things worse. It can be scary to think things could get worse. The situation probably already feels out of control. But there is also risk in doing nothing. New behavior/new knowledge/new experiences = new results. I will not let you needlessly rehash every argument you’ve ever had. I mediate and help you decrease conflict. I've got the road map and am driving the bus. I will keep things on track. You are validating your partner’s concerns about your relationship and showing good faith by showing up. Often couples feel better before they even show up because setting the appointment together feels good. BUT, when choosing a counselor, verify that they are properly licensed by your state and trained specifically to work with couples. Someone calling themselves a counselor, but not licensed to practice, can do harm. This means they were not properly supervised during their training and may not have the education and guided wisdom from supervisors necessary to do the job properly. I will also do a proper assessment to determine if relationship counseling is right for you or if other avenues may be more helpful. Seeing a professional is too personal and embarrassing. It can feel very awkward to open up about private, embarrassing, and painful relationship problems. I have great respect for this. Most people get over this pretty quickly and many times even forget that I am there. Because I am neutral and an advocate for your marriage, it becomes easy to bring up the elephants that have been hanging out in your living room. I’m ashamed of the mistakes I’ve made. I am solution focused. You are not a sum of your mistakes. What brought you together? What challenges have you overcome? How are you each individually great? How can we make this all come together to move forward? To put it simply, even in the midst of pain, there is something sacred and resilient. I will not judge. I admire anyone willing to come in the door and do some work. How much did you pay for your sofa? Would you be willing to invest that same amount into your relationship? Counseling is substantially cheaper than a divorce. I want to get you back out on the road as quickly as possible and work my way out of a job as soon as I can. We shouldn’t have to work on this, it should be easy. 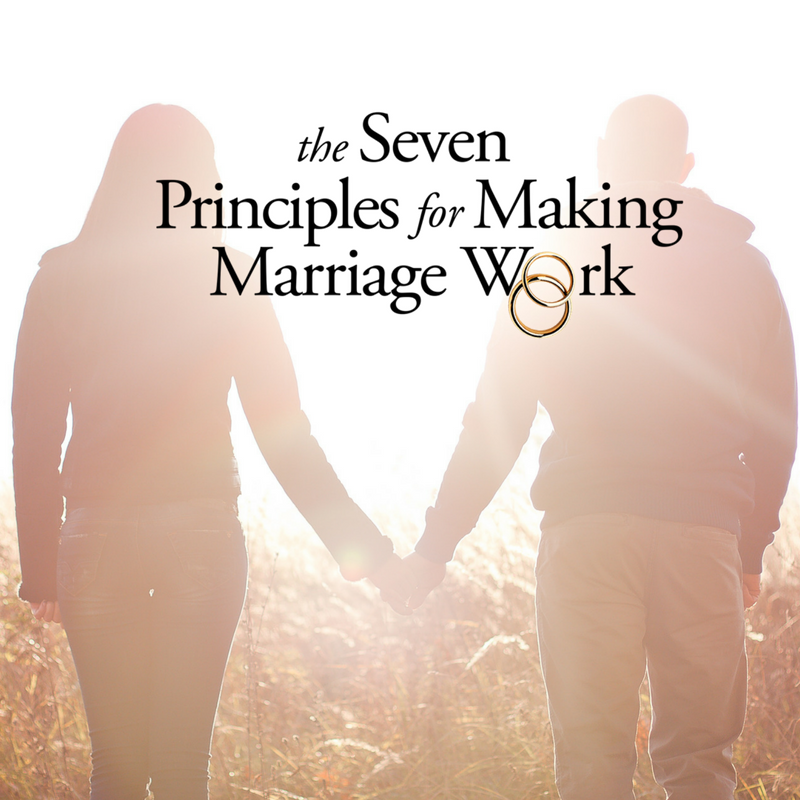 Working on your relationship can teach your kids how to have a great marriage. You teach them that you invest time and energy into your priorities. When your priority is each other, you all benefit. My goal is for this "work" to become easier and feel intuitive. There is no need to struggle on your own. The other person is the one that needs to change. Finding fault won’t move you forward. If you are waiting on the other person, nothing will happen. Do something first. The goal is not to “change a person.” The goal is to change relationship patterns and reconnect. Change can come from either side. The counselor will tell us if we should break up or not. It is never my place to make relationship decisions for you. This is disrespectful and unethical. There is nothing magical about showing up and sitting on my couch every week. The real work is done by you between sessions. We can’t do couples counseling because one of us won’t go. We can do 1:1 therapy-it’s not ideal, but can work. Again, change can come from either side. That doesn’t mean things are your fault, the goal is to change the entire pattern and functioning of your system. One person can adjust the whole pattern, or at least get things started. So now I hope you have no more excuses and make the call to get started today! Thanks for reading! Please also find me on Facebook, Twitter or sign up for email news.